Angie's List believes that reviews presented by paid members are more reliable than reviews posted on other websites such as Yelp because "Companies can't pay to be on Angie's List. Reviews come from real people like you, not anonymous users.. The following reviews are from Farnsworth Quality Roofing Company Tulsa Company Tulsa customers just like you. They are not edited or changed in any way to preserve their authenticity. Mr Farnsworth roofed our mothers home this month. He did a great job. His estimate was very accurate and thorough. He gives a five year warranty on his workmanship. He tells you what he is going to do and when and then he does it. We contacted Mr Farnsworth to do this job because he had roofed our home two times in the past 20 years. I have given his name out many times to my friends and family. . Very few business people do that these days. I have the utmost confidence in him and his work. Just a side note: Our mother's home is in Tulsa but our home is 35 minutes outside of Tulsa. Mr. Farnsworth had no problem with our location and didn't charge more for coming to our location. I called Farnsworth Quality Roofing Company Tulsa after the hailstorm we had earlier this year, on the advice of my Insurance Company. He came out immediately and checked my roof out and said there was only very slight hail damage to the roof, but that the rubber seals on two of the vents were cracked from the heat, and could eventually cause leaks. I really appreciated his honesty. He didn't try to sell me a new roof, that I didn't need. He told me that he had several homes that were in need of new roofs at the time, and since the vents would hold for the time being, he would come and replace them when he didn't have so many roofs that were in need of repair, if that was ok with me. I told him that was perfectly fine with me. He did exactly what he said he would do, and he brought the two vents down to show me how they were both cracked after he had replaced them. They had only slight dents from the hail. I feel good about not having to worry about a leak from those vents. I have total trust in Farnsworth Quality Roofing Company Tulsa. Randy did an excellent job on a flat roof repair. He performed asap after making an estimate. The job was done quickly and to an excellent satisfaction. Would use him again when needed. Our 80+ year old house has an addition with an almost flat roof. It had developed a soft spot that would hold water and may have eventually collapsed into our house. We had Farnsworth Roofing replace this roof with one with greater slope for draining. We also had them replace the roof on our detached garage. Randy, the owner, inspected the roof and provided the estimate. We had obtained two other estimates. One proposed what seemed to be a superficial fix; the other was comparable to Farnsworth's but significantly more expensive. Randy, with his helpers, does the work himself. Once Randy removed the old roof and found the cause of the soft spot, he proposed a far better and simpler correction than I would have. The work went well, especially the cleanup. We never found a single nail from the old roofing. A year later, we recommended Farnsworth to our daughter and son-in-law, who had them replace their entire roof. They were also pleased. Randy Farnsworth came very highly recommended to me by a friend, so I called him when I had some leaks in my roof. He was very nice on the phone and said he would come out and take a look and even start work if he had a chance. We never discussed price. By afternoon, he had called to tell me the job was completed. I was so surprised that he had already repaired the leaks. He did a great job...no more leaks! When I got home the day of the repair, a bill was stuck in my storm door. The charge was only $75. I was so pleasantly surprised, it made my day. We have had some heavy rains since then, and are staying dry and leak-free. I will definitely be calling Randy again if I ever need any more roof work done. Farnsworth Quality Roofing Company Tulsa is a top notch roofing company. Mr. Fransworth truly cares for the people he works for and it shows in his work. All work was done in a meticulous manner. If something is not right, they will make it right. I would not hesitate to call this company again! I just bought my house a few months ago and had a surprise roof leak (The roof is only 5 years old so I wasn't expecting any problems) that the previous owner forgot to disclose. Randy Farnsworth came out himself to look at it and see what the problem was. The previous owner had made some bad DIY roof repairs and put roofing staples right in the middle of the shingles. He fixed the area that was leaking AND walked the rest of the roof and fixed any other bad staples he found. He was very honest and only did what needed to be done. He was also the ONLY contractor I talked to who provided a warranty on repair work (5 years.) I was thrilled with all the work he did. The only minor complaint I had was that he rescheduled doing the work two times - but that was primarily because it was such a small job he squeezed it in between other projects. I would definitely use him again! 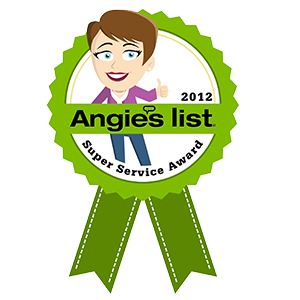 Thank you Tulsa for your kind words and positive reviews on Angie's List and the many other quality review sites available to you. This reflects YOUR commitment to high quality - I an honored to be your service provider. The most important thing to me as a Roofing Company in Tulsa is to have a positive influene in our community. One day or another, we will all need each other's services and expertise. The best part about hiring Farnsworth Quality Roofing is that you get Randy Farnsworth himself ensuring the best quality of work is performed on your roof. LOCAL, DEPENDABLE and AFFORDABLE, remember the name Randy Farnsworth of Farnsworth Quality Roofing in Tulsa, Oklahoma.